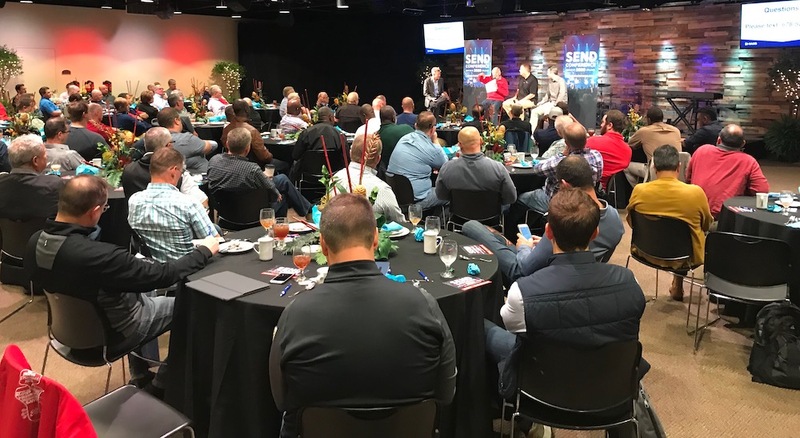 The North American Mission Board (NAMB) recently sponsored two luncheons for pastors, staff and missions leaders in the Central Region of the Florida Baptist Convention. These events took place at First Baptist Church, Orlando on February 7th and at Idlewild Baptist Church, Tampa on February 13th. 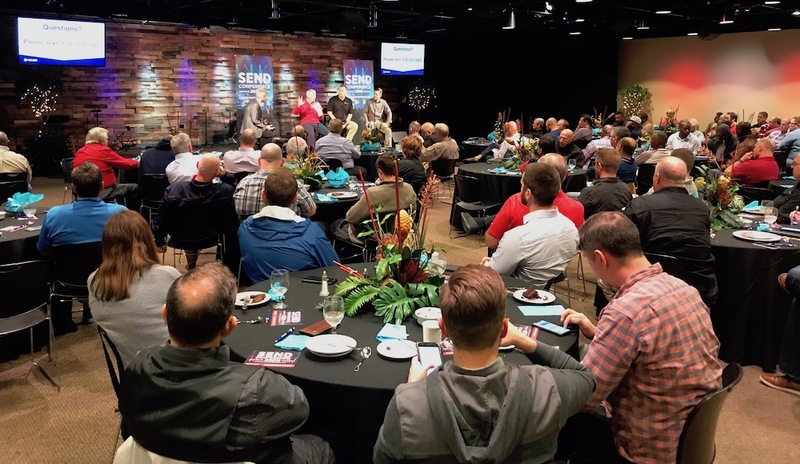 NAMB recognizes the time, effort, and preparations that pastors, staff and missions leaders selflessly give to their local churches. “Leading your church to make a kingdom impact requires more than many church members may realize,” states NAMB. 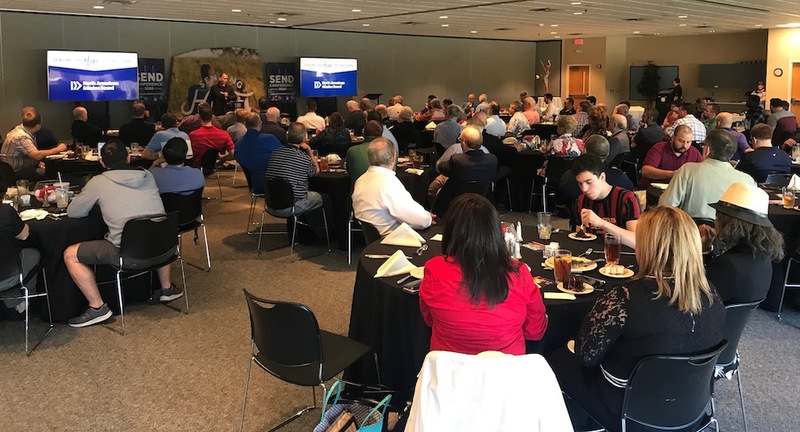 At the luncheon, attendees enjoyed a “sweet time of fellowship and good food.” They also heard from a panel of pastors who addressed relevant ministry issues including evangelism, discipleship and missions and how NAMB can assist them in their local ministry and beyond. At the NAMB Luncheon that took place at FBC Orlando on February 7th, there were a number of panel speakers including: David Uth, Senior Pastor, First Baptist Orlando, Florida; Aaron Burgner, Lead Pastor, Church at the Mall, Lakeland, Florida; Ken Adams, Pastor, Crossroads Church, Newnan, Georgia; and Danny de Armas, Senior Associate Pastor, First Baptist Orlando, Florida. At the NAMB Luncheon that took place at Idlewild Baptist Church on February 13th, the panel speakers included: Ken Whitten, Senior pastor at Idlewild Baptist Church, Lutz Florida; Sam Rainer, Lead Pastor, West Bradenton Baptist Church, Bradenton, Florida; Cliff Lea, Senior Pastor, First Baptist Church Leesburg, Florida; and Danny de Armas, Senior Associate Pastor, First Baptist Orlando, Florida. NAMB Pastors Luncheon at Idlewild Baptist Church in Tampa. For more information regarding NAMB events, please visit: https://www.namb.net/events/. Brandi is a writer and editor for N2 Publishing, a community magazine that honors God. She and her family attend Fishhawk Fellowship Church and are a Host Family for Safe Families for Children, Bethany Christian Services. Her background is in Healthcare Management, Policies & Procedures.